Join us as we make Warren more colorful! This event is for everyone! Registration starts at 9:00am and the contest begins at 10:00 am. The cost of a single sidewalk square is $15.00 & this includes the chalk! All proceeds benefit Family Services of Warren County. This contest is for all ages and skill levels! There will be three age brackets to enter 6-12, 13-17 and 18+. 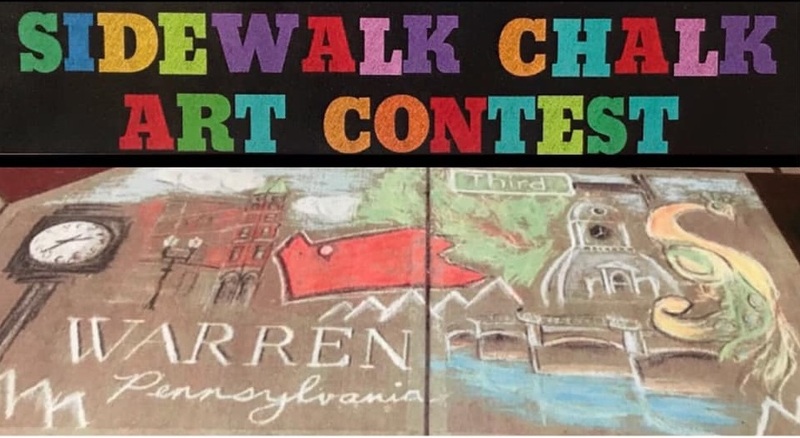 Bring the family, invite your friends, or challenge local artists to color the city of Warren and at the very least come show your support and love for our local talent! One last but not least feature of this event —-Marty’s Bubblegum Machine will be providing entertainment for children and adults throughout the day- something you just don’t want to miss! To register click the following link and complete the form: https://forms.gle/zMdT3eHfS9C4HBbZ9 or you can call 814-723-1330. You can register the day of the event as well.